Want to rock your inner world? 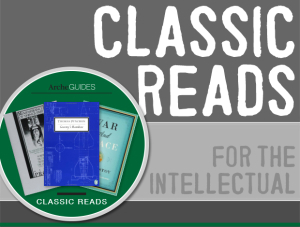 Trade literature of the minute for these timeless novels that will hit home. Every cause is a lost cause before it changes the world. Here are three efforts that started off as books and became something much more. Deeply committed to workers’ rights, journalist Sinclair began his muckraking novel after a reporting trip to Chicago’s stockyards. The Jungle chronicles life in Packingtown, a meat-processing district where his immigrant protagonists are cheated by capitalists at every turn. A best-seller, the 1906 novel galvanized readers, whose outrage was aimed not at the workers’ plight, but at revelations about filth in food-processing plants. With the uproar still raging, Congress passed the Pure Food and Drug Act in 1906. Published in 1938, Trumbo’s work is one of the most shocking anti-war novels ever written. Protagonist Joe Bonham is a gauze-wrapped hulk in a hospital bed. His face and limbs destroyed in The Great War, and he is obsessed with the thought that his “sacrifice” meant nothing. “So did all those kids die thinking of democracy and freedom and liberty and…the stars and stripes forever?” he reflects. “You’re goddamn right they didn’t.” This one should be required reading for Congress. With its depictions of long-suffering slaves including Uncle Tom and rank villains like slaveholder Simon Legree, Stowe’s 1852 novel about the immorality of slavery helped to stoke the abolitionist cause. It also was one of the century’s best-sellers — right behind the Bible. Political message aside, it’s a heartrending tale about the way families were wrenched apart by slavery — an evil that, incredibly, is alive and well today.